ABSTRACT: Data is growing at an alarming rate. This growth is spurred by an increasingly diverse array of sources, such as embedded sensors, video cameras, social media sites, the quantified-self and the internet-of-things. This is transforming our reliance on data for making decisions, or data analytics, from being predominantly carried out by a single individual and in limited settings (such as on traditional PCs) to taking place while on-the-go and in the field of action. Data analytics is transitioning from being reserved for domain specialists to becoming necessary for the general end-user. For example, an athlete may consult their network of body-worn sensors to gauge their training performance, a shopper may need to quickly consult web sites of competing products as well as their personal finances before making a purchase, or a victim during an emergency may need to rely on web blogs accessible through their mobile devices to find the closest shelter. Common among all these scenarios is the growing need for advanced tools that will enable users to interact with vast and diverse amounts of data for sense-making, while on-the-go. In this talk I will present on-going work in ubiquitous analytics, that focuses on the development of end-user software interface technologies for meeting data analytic needs in varied settings, ranging from collaborative to ad-hoc mobile environments. Such tools will facilitate the advanced exploration and interaction with data, ‘anytime’ and ‘anywhere’, through improved information visualization, navigation and manipulation interfaces on potentially information-rich portals such as mobile devices, wearable devices and large collaborative displays. I will present recent examples from work in our lab on Ubiquitous Analytics, and open up to a discussion of potential projects that can fall under this umbrella of research activity. 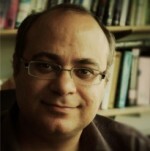 BIO: Pourang Irani is a Professor in the Department of Computer Science at the University of Manitoba and Canada Research Chair in Ubiquitous Analytics. His research is in the areas of Human-Computer Interaction and Information Visualization. More specifically, his work concentrates on designing and studying novel interaction methods and systems for giving end-users efficient access to various information structures (maps, spatio-temporal data and video) for a variety of computing devices (smartphones, wearable devices and large shared surfaces) while evaluating their efficacy under different contexts and environments (lab, and in the field). This has placed his research at the core of the emerging interdisciplinary field of Ubiquitous Analytics which involves the development of interactive and visualization tools for exploring information “anywhere” and “anytime”.